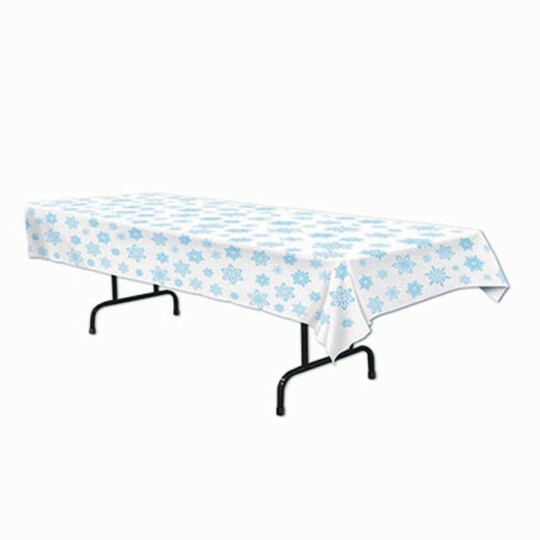 Give your tables a beautiful winter scene! Set up for a holiday dinner in "snow" time at all! Heavy-duty snowflake table cover is durable and reusable. Measures 54" x 108".